Marc in the Motherland: Where in the world is Lloyd? “I think coach will make it here on Wednesday morning,” Embiid said. We were referring to Philadelphia 76ers assistant coach Lloyd Pierce. Embiid has been close to Pierce since the budding star center arrived in Philadelphia in 2014. Lloyd and I go back to San Jose, California, where we first met when I was a senior at Andrew Hill High School and he was the up-and-coming young hooper from rival Yerba Buena High School. We used to play pickup at renowned Cherry Creek Park, where Lloyd was one of the few youngsters we would take to the win-or-go-home blacktop. In other words, Steve Nash’s old backcourt mate at Santa Clara University and I go back awhile. Lloyd was scheduled to join Embiid on a flight on Qatar Airways from Philadelphia through Qatar to Johannesburg with a Tuesday afternoon arrival. But because Lloyd didn’t have enough open pages in his passport for stamps, he was detained in Qatar and couldn’t carry on to South Africa. While Qatar Airways did give him direction and a hotel room, this dude was basically on his own in a Middle Eastern country he had never been to before in his life. After scheduling a meeting with the U.S. Embassy, Lloyd walked in suffocating 110-degree desert heat (which makes a Las Vegas 120 degrees seem cool) to get there. He tried to calmly go through security once at the U.S. Embassy, but they didn’t let him through because he had a computer that they worried might have been a bomb. The security guy suddenly didn’t speak English well when Lloyd tried to explain to him it was just a laptop. Lloyd eventually got through security and landed a desperately needed temporary passport. I know this whole story because he told it to me after he missed the first day of Basketball Without Borders camp here on Wednesday and finally got to the host hotel. Also, in the lobby of my Joburg hotel, a women started saying to me, “Crailford Court. Crailford Court.” Crailford Court was the street my family grew up on in San Jose. I turned around and it was my old neighbor Asani Swann, vice president of business strategy for Melo Enterprises and Sage Business Group managing partner. Yes, that Melo stands for trade-seeking New York Knicks forward Carmelo Anthony. And, no, my longtime sister didn’t give me any scoop. This niece of former Pittsburgh Steelers great Lynn Swann grew up across the street from me and has amazing ideas. Always a ray of sunshine to see her. 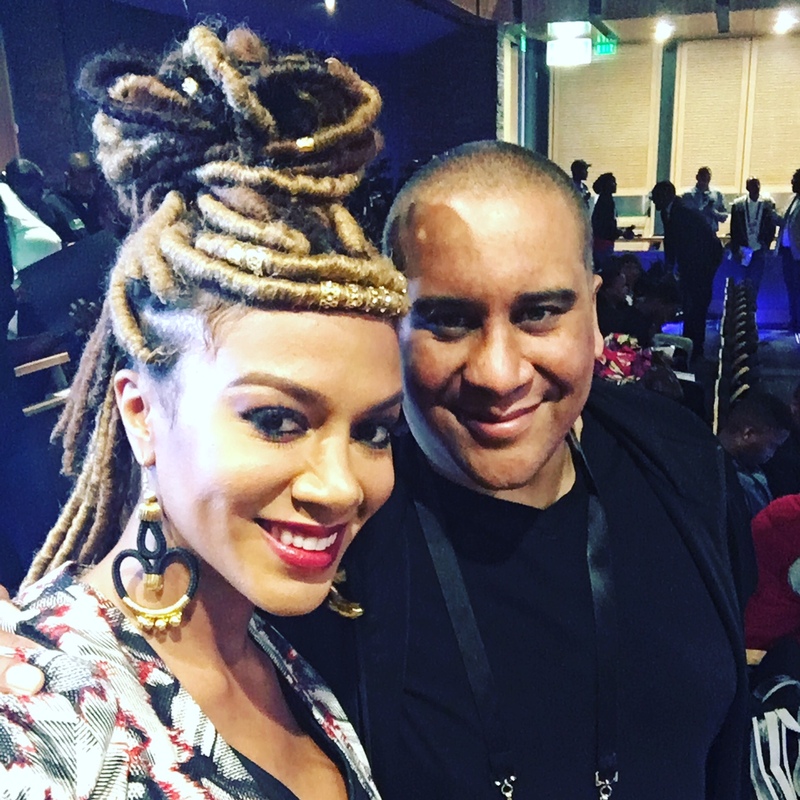 My homegirl Rosalyn Gold-Onwude is the host of the NBA Africa Game. I swear the Golden State Warriors sideline reporter isn’t human as she seems to never gets tired from all the traveling she is doing. She’s touring like the Harlem Globetrotters. The Bay Area resident has Nigeria ties and played previously on their national women’s basketball team. I don’t know where she got her hair done in Johannesburg, but she stole the show with her ‘do. It’s crazy that I can be two flights of nearly 24 hours from home and still connect with family who grew up across the street, grew up a mile away and live down the street from me now. Basketball is truly global. It’s good to see home all over the globe. 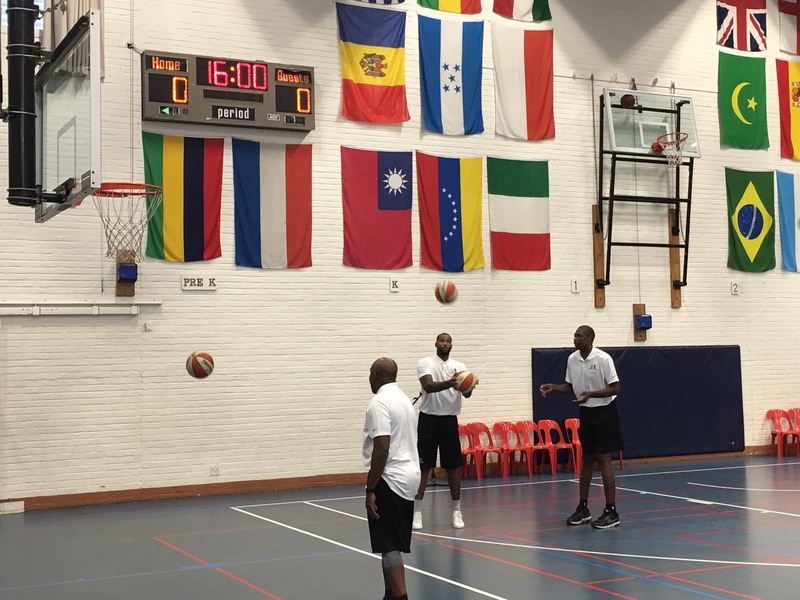 The first day of the Basketball Without Borders camp at a school for American kids was memorable. These teenagers have come from all over Africa hoping someone will discover them and take them to the United States or Europe, where they can hit the lottery like former campers and NBA players Embiid, Serge Ibaka and Gorgui Dieng, or simply to get a free quality education. There was also a session at the end of the camp for special-needs kids. No matter if it was DeMarcus Cousins, Dirk Nowitzki, Erik Spoelstra, Alvin Gentry, Dikembe Mutombo or James Jones, each camp counselor joyfully gave those kids their utmost attention and perhaps enjoyed it more than they did. It was also funny to see Cousins and Mutombo talk trash to each other about who was better. Afterward, I jumped into the left-side passenger seat while veteran cameraman Leon Hagen drove me to Soweto to get some B-roll for a story we were working on. It’s funny hearing people from the States talking about how they are from the ‘hood when they haven’t been far from home. The scariest place I’ve ever seen was Sarajevo, Bosnia-Herzegovina, where many of the houses were filled with old bullet holes and gypsy kids sadly lived in abandoned buildings. 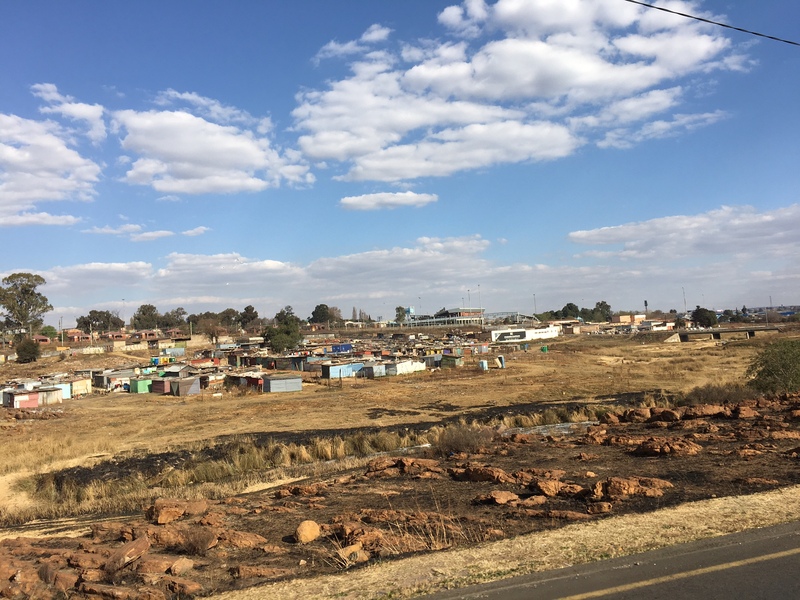 Leon drove me by a neighborhood in Johannesburg filled with dilapidated shanties that were haunted by drugs and prostitution just down the street from the famed 78,000-seat FNB Stadium. No disrespect to Garfield Park, East Oakland, the Ninth Ward, Compton and Liberty City, but there are levels to the ‘hood globally. I had a lot of writing and coordinating to do on Wednesday night for The Undefeated. But I did sneak out to a restaurant to try a food I was told to eat, kingklip. The slender kingklip is a member of the cusk eel family that can be found in South Africa. 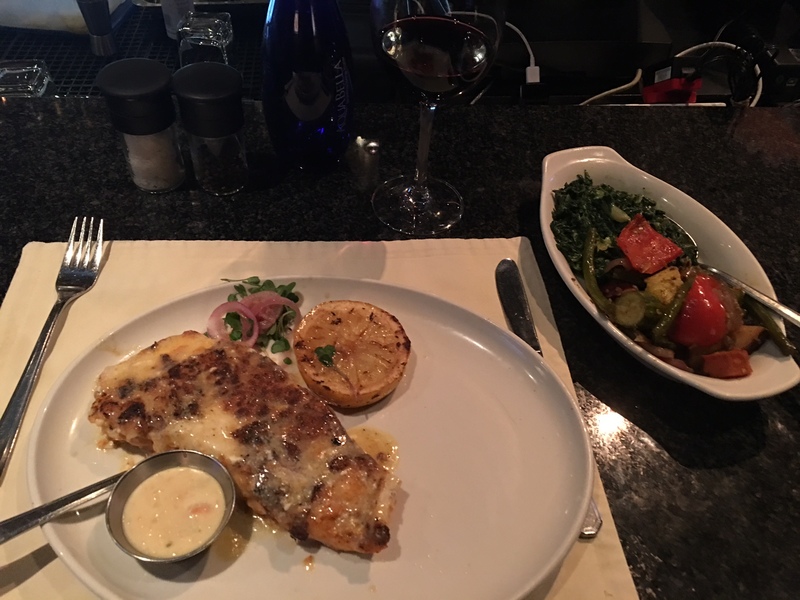 It wasn’t quite my Parmesan-encrusted red fish topped with crab meat that I love and will get at GW Fins in New Orleans next week, but it was pretty good. I’m glad my homeboy Lloyd finally made it after a long and literally hot trip.